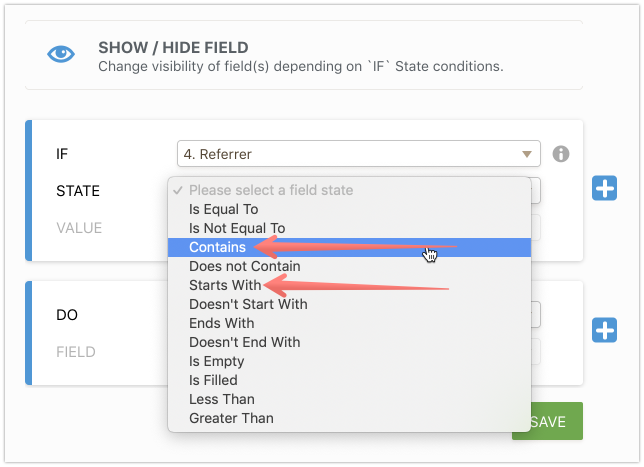 How to show specific fields based on 'Get Referrer' widget value? Would it be possible to use the URL referral widget in a condition? For example, if a user were to arrive from a specific URL could we determine what fields they are able to view? You can select 'contains' and add a URL but is the referral information available in real time to carry out the condition? or, is the referral information only available after the form has been submitted. Therefore, only available in the report. Yes, from my tests it should be working, referrer value is on form in real time. At least, I was able to hide Submit button based on 'contains' condition. If you have already started working on a form and need more help, we can take a look. Thanks. It seems to work for pages the form is embedded on... With that in mind does the Get Referrer widget only track the URL the form is on? I.e we want to set up a condition based on the linking page. 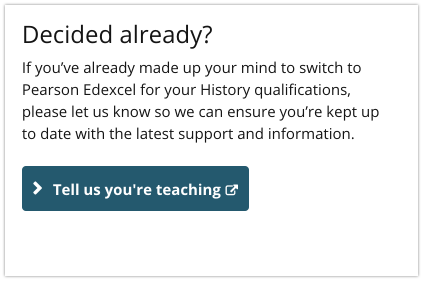 So, if the form was linked to from this page https://qualifications.pearson.com/en/qualifications/edexcel-gcses/history-2016/switch-to-pearson.html could we set a condition based on that URL? If respondents clicks forms direct link on that web page, it should work properly, but I am not sure if embedded form can fetch that value correctly since it runs inside of an iframe. If you could provide some more information on the flow, it would help us to check for other possible solutions for you. Another link, would pass different parameter to the field on a form. Then, on a form you could set up conditional logic based on the value passed.